Dr Andrew Padmore took up the post of Music Director for Harrogate Choral Society in September 2005 in addition to his work as resident Conductor and Artistic Director of the ​Yorkshire Philharmonic Choir. Based in Leeds, he is a popular conductor with choirs and orchestras internationally and is regarded as a leading figure in the choral world. Andrew's work with diverse forces has ranged from small chamber choirs at the BBC to the largest symphony orchestras and choirs, including the famous Huddersfield Choral Society. These activities have earned him huge respect from audiences and performers alike whilst critics frequently refer to the dynamism of his approach and sensitivity and flair in performance. As a result, invitations to direct choral and orchestral workshops have come from the Far East, Africa and Europe as well as from a variety of educational establishments in the UK. The demand for Andrew as a guest conductor for the major choral repertoire with societies throughout the UK and abroad has steadily increased through both new and return invitations. Choirs enjoy his dynamic and inspirational approach which often raises them to new levels of performance. Professional soloists frequently comment on his intuitive support. In recent concerts these have included Emma Kirkby, Patricia Rozario, Mark Padmore, Sir Willard White and Michael George. In the orchestral sphere Andrew has enjoyed conducting summer outdoor performances of "Last Night of the Proms"-type concerts to huge audiences. However, he is equally at home conducting the more serious repertoire in the concert hall. His ability to get the best out of an orchestra and choir on minimal rehearsal is legendary and his interactions with audiences have made concerts memorable. As a teenager, Andrew counted himself extremely fortunate to have the opportunity to study conducting under Sir Adrian Boult. Early on he played both trombone and violin professionally then, alongside the acquisition of an impressive list of academic qualifications and performance diplomas, he moved through positions as Director of Music in an old established grammar school to Director of Music at cathedrals in Cork and Belfast. These latter offered him the opportunity to give organ recitals in many British cathedrals and concert halls. In 1989 he left full time cathedral music to concentrate on choral and orchestral conducting, lecturing and work as a master-class clinician. Additional activities include adjudicating international choral festivals and directing residential choral courses. A Faculty Member at "Directors’ College" for the British Association of Barbershop Singers, Andrew also examines for the Royal Schools of Music which involves him in mentoring on the professional teaching qualification course and acting as specialist examiner for their choral singing syllabus and for diplomas. Recognition of his achievements include honorary doctorates and diplomas and in 2002 he was elected as Warden for the Incorporated Society of Musicians. She was a founder member of Polyphonia - a network of European Conservatoires - and has lectured and conducted workshops in Sweden, Portugal, France, Lithuania, Norway, Holland and Austria. Marilynne is particularly interested in the practice of performance and led a European research project in that field, the results of which have been disseminated across the conservatoires. In addition she has been external examiner at the universities of Edinburgh, Durham, Wolverhampton, Southampton, Huddersfield, University College Chichester, and an external assessor of performance at graduate and postgraduate levels. As a past Warden of the Incorporated Society of Musicians she has represented the Society in collaboration with the University of Reading developing courses for music teachers and performers. As a conductor she has trained and conducted orchestras and choirs on a regular basis, some of whom have performed on BBC and ITV. The largest ensemble was a choir of 1100 school children and the smallest a chamber choir of 40 voices with whom she toured abroad on many occasions. Currently she is Deputy Music Director of the 170 voice Harrogate Choral Society, she also founded the 60 voice Harrogate Polyphonic Choir and a small vocal ensemble Beati Cantores. She is regularly involved in workshops for teachers, conductors, singers and dancers. She also conducts training sessions for the National Association of Choirs, Male Voice and Upper Voice Choirs, and continues to work with choirs such as the Lindley School Choir who were winners of the BBC Songs of Praise Choir of the Year in 2008. 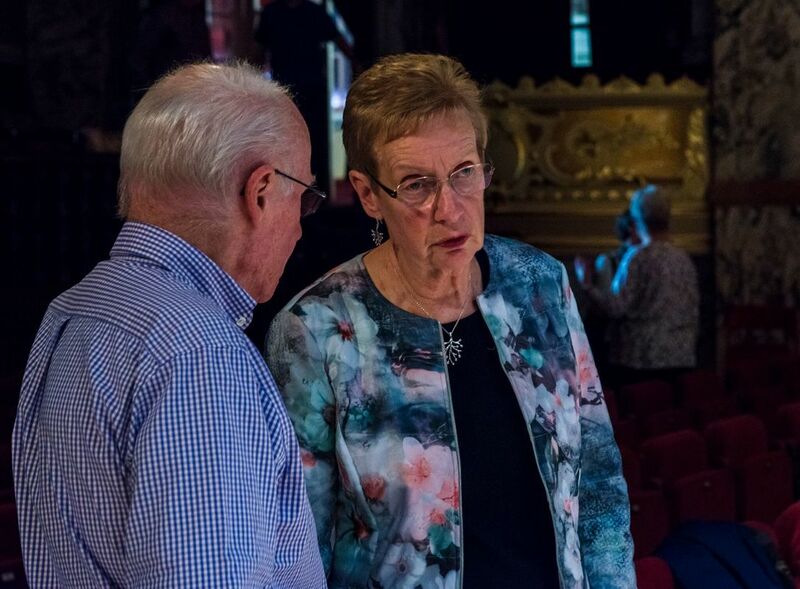 For the past eight years she has been involved in long term, sustainable vocal and instrumental projects in South Cumbria, Northumberland and the Ripon and Leeds Diocese. These projects, aimed at the primary age phase, are designed to encourage and firmly establish music in schools as well as giving all children the experience of performing together in a large group of usually about 400! Her own performing experience has included singing with professional orchestras and choirs, solo recitals and solo parts in opera. She now has a practice as a voice consultant.From her early experiences of performing in Welsh Eisteddfodau Marilynne has developed a lifelong passion and enthusiasm for all aspects of performance. Having studied piano, voice and cello at the Royal Welsh College of Music and Drama, she took a Masters Degree in Education. The combination of these two strands consolidated her interest in music performance and music education and the interface between the two. Her appointment as Head of the School of Performance at the College of Ripon and York St. John enabled her to maintain and develop these interests nationally and internationally as well as building collaborative partnerships in performance between the other creative and performing arts within the School which included music, dance, drama, theatre, film and television. Thomas Moore was born in Leicester, and was a treble in Leicester Cathedral Choir. He studied music at the University of Huddersfield, graduating as a Bachelor of Music in 1997, and during his time at University was successively organ scholar at Huddersfield Parish Church and Bradford Cathedral. After undergraduate studies, Tom was appointed Assistant Organist of St. James the Greater Church in Leicester, and concurrent with this appointment completed further studies for a Master of the Arts qualification. In autumn 1998 Tom assumed the appointment of Assistant Organist of Peterborough Cathedral, a position he held until summer 2002. In September 2002, Tom returned to West Yorkshire to take up the post of Assistant Director of Music at Wakefield Cathedral. A particular duty of this appointment was to direct the girl choristers of the Cathedral Choir which inspired Tom to focus more on choir training and direction. At the retirement of Jonathan Bielby in 2010, Tom was invited to take up the position of Acting Director of Music at Wakefield Cathedral, and his appointment as Director of Music was confirmed in January 2011. 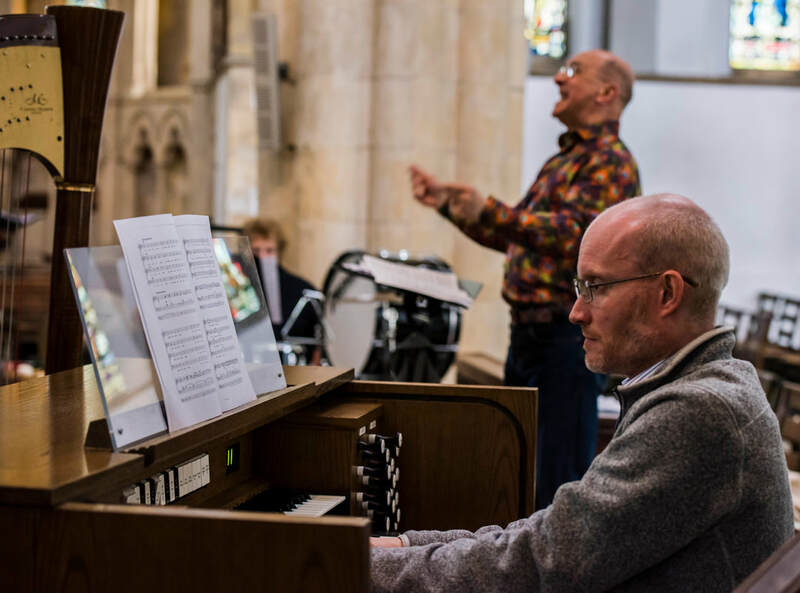 He is the first full time Director of Music at Wakefield Cathedral, and only the fifth cathedral organist at Wakefield since the former Parish Church of All Saints became the Cathedral Church of All Saints Wakefield. Notably, Tom is one of only a few Cathedral musicians to have played at two Royal Maundy services; at Bradford in 1997 and Wakefield in 2005. Many of his choristers have gone on to be high achievers, and two more recent Wakefield Cathedral Choristers have respectively been selected as a finalist in the BBC Chorister of the Year competition, and a singer in the Diamond Choir for HM The Queen’s celebration service in St. Paul’s Cathedral. Tom has worked with many notable musicians and groups in his career to date; he is the regular accompanist and Assistant Musical Director of the Yorkshire Philharmonic Choir. In addition to this and his Cathedral duties he has directed the St. Peters Consort chamber choir, and accompanied several other notable choirs and groups. He also undertakes teaching roles, including at Queen Elizabeth Grammar School Wakefield. He has broadcast for BBC radio and television, and his work as a choral director and organist can be heard on numerous compact disc recordings. Tom’s work has taken him to many venues within the UK, across Europe and to America. In any free time he has, Tom enjoys motorsports, travelling on the continent and drinking real ale. He also takes a keen interest in, and owns a number of cars. The people are the first point of contact for Members. They need to know if you are going to miss a rehearsal so they can update the register on your behalf. They also have a look at the registers every now and then to see that all the singers in their voice are coming to rehearsal regularly and check to see if everything is ok when someone is unexpectedly missing. They are also the people who you can voice things to which they will feed back to the main Committee. All in all very important people!